Taking inspiration from the Golden Hollywood era our Delicate Pearl Jewellery set features coordinating crystal and pearl collar necklace, bracelet and stud earrings. 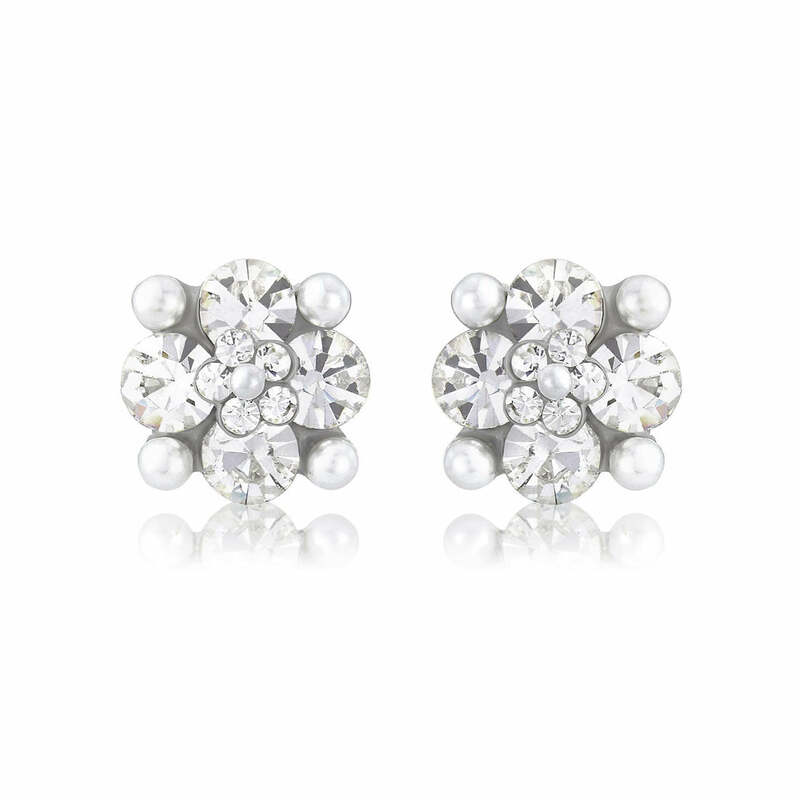 Fans of the Golden Hollywood era will adore the charming beauty of our Delicate Pearl Jewellery Set. 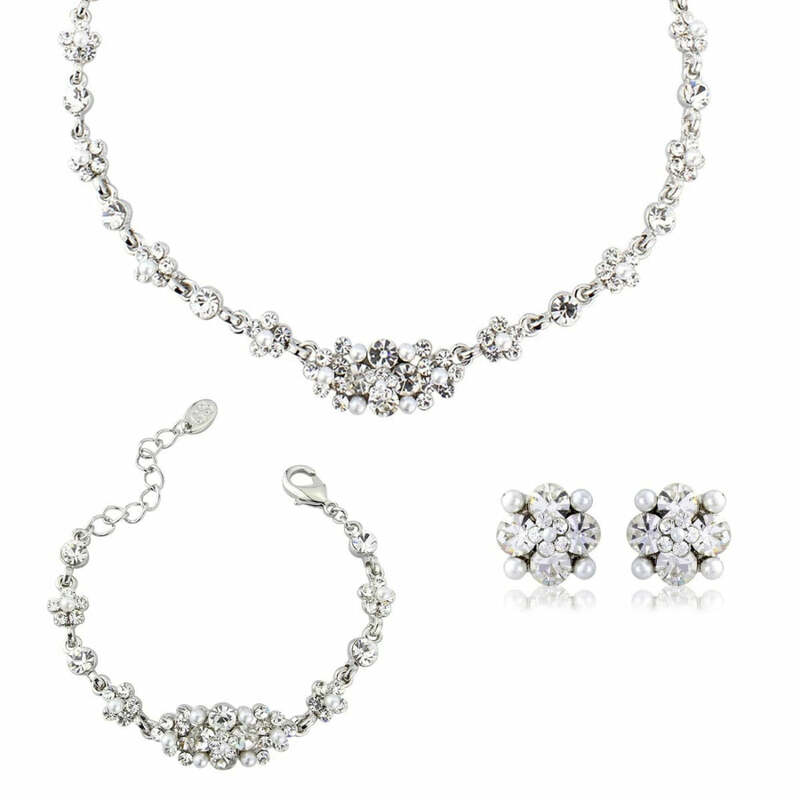 A three piece set which comprises a coordinating collar necklace, bracelet and stud earrings all embellished with sparkling crystals and petite ivory pearl enhancements. A go to collection for every occasion, wear the earrings alone for lunch with friends or opt for timeless glamour with all three for a romantic dinner date or prom. 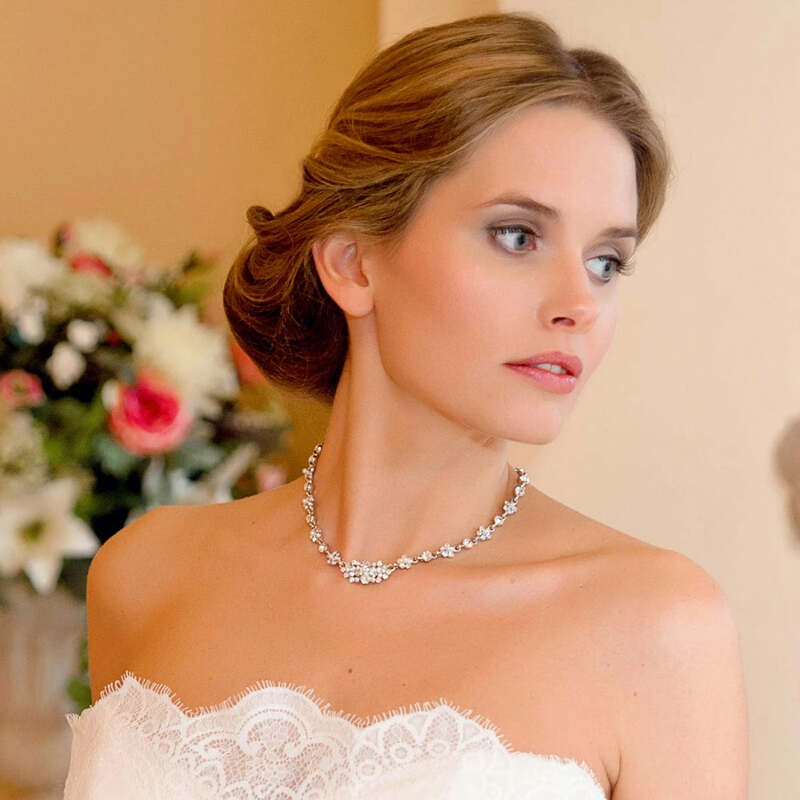 A beautiful wedding jewellery set for brides, the timeless glamour of Delicate Pearl will enhance a vintage lace gown or add shimmer to an elegant silk dress. 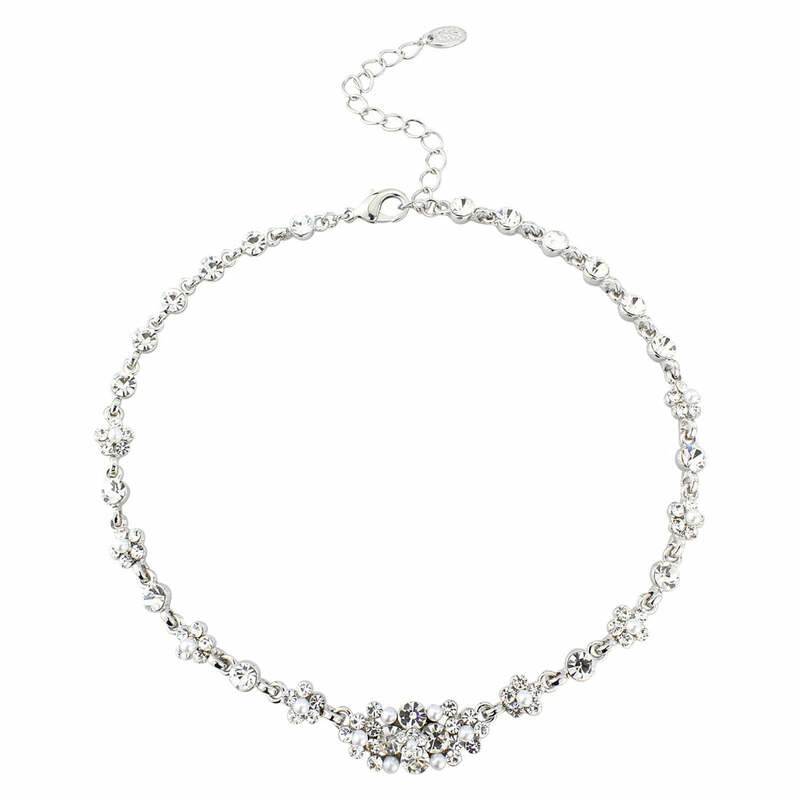 A popular choice for bridesmaids, your favourite girls will adore the elegance of this fabulous design.